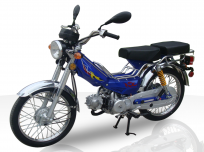 When it comes to buying a Scooter or Moped to trust with your life; WHO you buy from is just as important as WHAT you’re buying! Please CLICK HERE to understand why. Are you ready for the ride of your life? 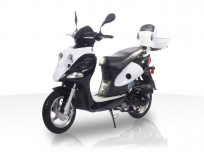 With the mopeds and scooters for sale from Joy Ride Motors you are guaranteed to have tons of fun riding all over the place, while saving money on fuel, maintenance, and parking. What more could you ask for?! 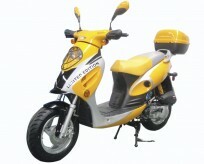 How about one of the best deals available on scooters and mopeds for sale? 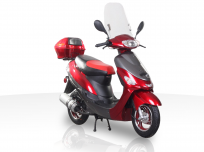 Whether you’re interested in gas scooters, electric motor scooters, or mopeds, Joy Ride Motors has the perfect ride for you, for just the right price. Candy apple red, lime green, sunshine yellow – no matter what color scooter you’re driving, you’ll be GREEN with our scooters’ fuel efficiency! 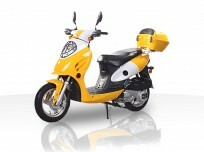 The mopeds and scooters at Joy Ride Motors can get you back and forth to work, to school, to the bank, to the store and all your commuter needs – all on one tank of gas. 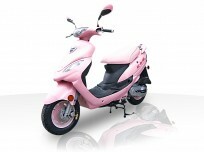 Our scooters and mopeds get close to 100 miles per gallon of gasoline, and our larger scooters and motorcycles ride at freeway speeds. Not to mention, our scooters will SAVE you some GREEN too - far less expensive to register, and your insurance premiums can be the same per year as your car is for a month! 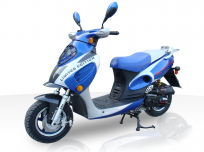 In our scoter catalog below, you’ll find our most popular sellers from; BMS Scooters, Roketa Scooters, and Ice Bear Scooters, which all have a proven track record for safety, quality and performance. We ‘cherry pick’ the very best models from all our vendors’ product lines, which come mostly, if not completely assembled, for the best price online. 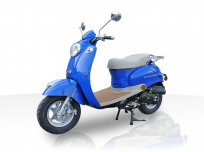 Available in a wide variety of colors and styles (including many vintage looks) our scooters and mopeds will get you noticed. Prepare to turn heads all around town when you travel about on one of our stylish rides, and get ready to fully enjoy the ride with Joy Ride Motors. 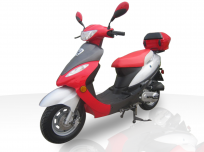 At Joy Ride Motors we do business with confidence because we believe in our brand, our full lines of scooters and mopeds, and we thrive to create long-lasting, prosperous business relationships and happy customers. Help is only a call away! 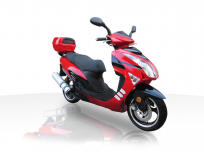 Contact one of our friendly and knowledgeable staff members now toll-free at 877-300-8707 and let us know what it will take to get you on one of our beautiful, environmentally-friendly scooters or mopeds today!